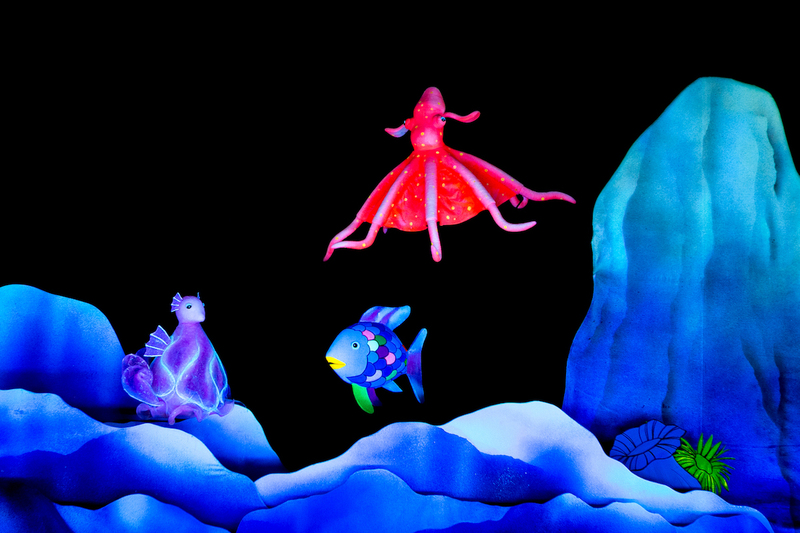 Mermaid Theatre of Nova Scotia will present The Rainbow Fish and two other companion stories, Rainbow Fish Discovers the Deep and Opposites on Saturday, November 3 at 11 a.m. at the Weis Center. The Family Discovery performance is suggested for ages 3-7 and has a run time of 60 minutes without an intermission. The performance is sponsored, in part, by the Children’s Museum of Bloomsburg and the Columbia-Montour Visitors Bureau. The Children’s Museum of Bloomsburg will offer free kids’ activities in the Weis Center Atrium from 10-11 a.m. 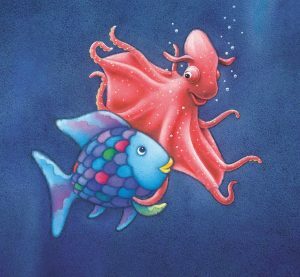 The Rainbow Fish will enchant even the youngest child with his silver scales and heart of gold in a new adaptation of Marcus Pfizer’s award-winning books about the beautiful fish who learned to share his most prized possession. The first of three tales introduces the most beautiful fish in the sea, whose scales shimmer in all the colors of the rainbow. He is admired – and resented – by the entire underwater world, until a clever octopus advises him to give each fish one of his scales. Further adventures follow as The Rainbow Fish finds the courage to explore the great unknown deep sea, discovering a new world with wonderful sights and friendly creatures of all shapes, sizes and colors who are eager to make his acquaintance. The underworld wonderland is the setting for an introduction to the concept of opposites. Tickets for the performance are $20 for adults, $16 for seniors 62+, $10 for youth 18 and under, $10 for Bucknell employees and retirees (limit 2), $10 for Bucknell students (limit 2), and $10 for non-Bucknell college students (limit 2).